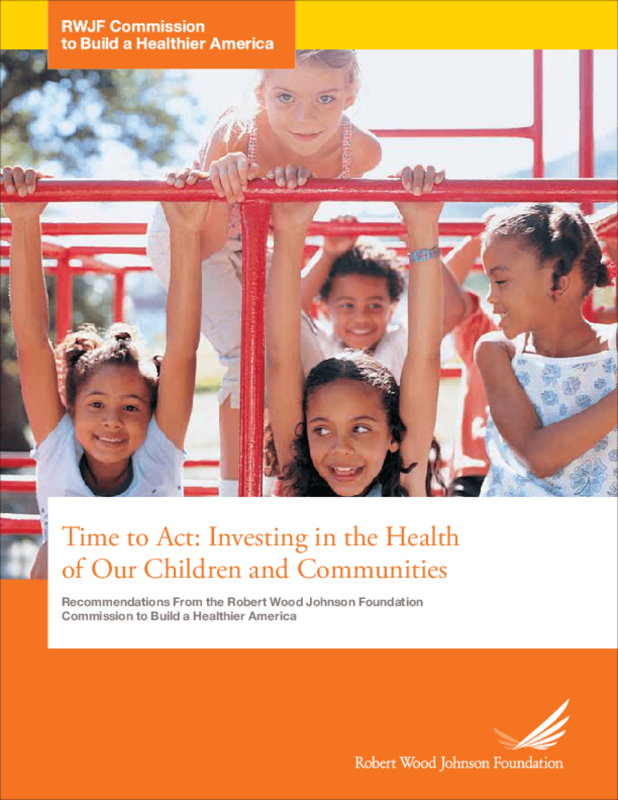 In 2008, the Robert Wood Johnson Foundation (RWJF) convened the Commission to Build a Healthier America to help us find better ways to improve the health of our nation. The Commission -- a national, nonpartisan group of leaders from both the public and private sectors -- issued 10 sweeping recommendations aimed at improving the health of all Americans. The Commission's work sparked a national conversation that has led to a marked increase in collaboration among a wide variety of partners aimed at addressing the many determinants of health. Eager to build upon this progress, RWJF asked the Commissioners to come together again. This year, the Commission tackled immensely complex matters that underlie profound differences in the health of Americans: experiences in early childhood; opportunities that communities provide for people to make healthy choices; and the mission and incentives of health professionals and health care institutions. Copyright 2014 Robert Wood Johnson Foundation.